If you are looking for a simple, rugged, easy to use scan tool that reads and clears ABS, SRS and DTC’s , then I would highly recommend the Innova 3160. The Live Data is a great feature for us who are more impatient than others… but I honestly don’t think it’s worth the extra price compared to the Innova 3150. Quick author note: Hey all! Mike here with ScannerAnswers to bring you OBD2 code reader review. Today we’re looking at the INNOVA 3160 Review. If you are looking into this scan tool, then I’d recommend also reading our Innova 3150 review. The Innova 3150 vs the 3160 have one big difference – The 3160 can show live data and gives you the option to playback and record this data. The 3150 only allows freeze frame data. So if you don’t need the live data feature, save yourself same cash and pick up the Innova 3150. For people looking for an excellent scan tool that can perform a mixture of different functions, and if your budget is $$$ , the Innova 3160 will be the perfect solution. This is certainly not the cheapest model on the market today, however, it comes with multiple features and accessories that add a little to the price. One of the main features setting this code reader apart from cheaper models is the ability to read & clear ABS and SRS codes. There is also an upgrade that lets you use the OBD1 feature… but we were unable to test this. This tool can be used for both home or professional use. The 3160 by Innova OBD2 code scanner is at the very top of its class regarding reliability and convenience. Shows live data and lets you record it to play it back – Read and erase check-engine lights as well as SRS and ABS lights – Required tool for DIY’ers to save money and fix your own car! Supplemental Restraint System (SRS) is the industry’s manner of saying “air bags.” Whenever you start your engine, the computer performs a check of the airbag system. If it identifies an error, an alert light turn on and it’s likely that the airbags will not deploy in case of a collision. 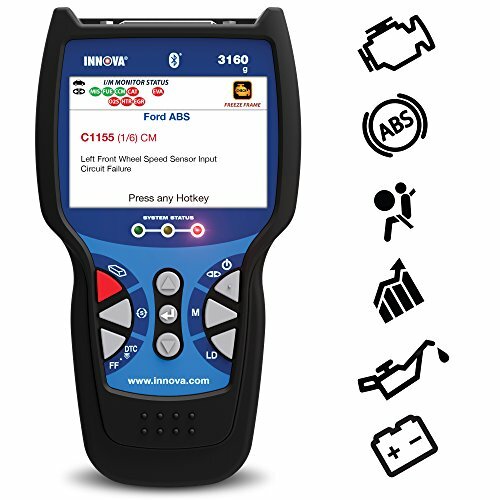 With the Innova 3160 you will have the ability to identify the problem and find a solution. Although air bag repair is always best fixed by a professional person, it really does help to have a tool which can direct you in the right direction. One more essential safety-related feature on the Innova 3160 is the power to diagnose the Anti-lock Brake System (ABS) codes. During the drive, the ABS always helps you to keep the car stable and in control during the emergency moves. Just as before the Innova 3160 assists you to find the root of an issue and also fix the issue. At a minimum, it can help you identify whether a big repair to the ABS is required. As outlined by Innova, the ABS and SRS functions will be able to work on all 1996 or newer Ford, GM, Chrysler and Honda vehicles. Pretty self explanatory, but this feature is pretty handy if you need real time data. See 20 pieces of important information on the screen at one time. Innova 3160 works with any car, light truck, SUV minivan or hybrid produced since 1996 (OBD2) – American, Asian and European. Screen shows DTCs and their definition in English, but also in French and Spanish (this can be selected via the menu command). The 9-button format along with Hot Keys will make this tool very easy to use and you will not waste much time to learn how it works. You will have quick access to every important information, among them: DTCs, OBD2 live data, freeze frame and erase functions. Red-Yellow-Green Emission Readiness show if the vehicle is able to pass an emissions test. Freeze frame is showing the engine conditions like fuel trim or engine coolant temp. Graph along with record live data values are here to help you with your diagnosis. Includes access to CanOBD2.com RepairSolutions which provides you with trouble code definitions, a complete diagnostic report, possible causes, repair costs and much more. This OBD2 scan tool has capacity to read a ton of diagnostic issues with nearly any vehicle. This device is really an all-in-one tool designed to help the DIY’er (we all are right?) quickly find the issue with his (or her) car and find the correct way to fix it. Viewing the SRS and ABS data is also very helpful if you happen to have one of those codes present. Don’t like to wait? The scanner’s live data system will help you get the information much faster (no more waiting 30 seconds for the refresh:) ). This product is also furnished with a backup system, which may be turned when testing your battery or if your car wont start. Easy to use. If you’re like me, then you want to spend your time working on your truck and not reading the user manual! Support for OBD1 is not as wide as I had hoped. If you need a scanner for OBD1, make sure you vehicle is supported and possibly look at other scan tools. 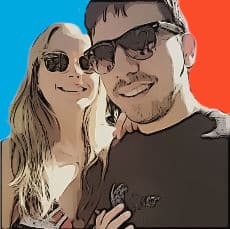 Our friends from Canada might not be able to enjoy this scan tool as much as us in the United States. The Innova 3160 is created to match the United States territory laws, which means that it may not be compatible with Canada’s vastly emission laws for example. Overall, if you are looking for a simple, easy to use scan tool that supports ABS and SRS, then I would highly recommend the Innova 3160. The Live Data is a great feature for us who are more impatient than others… but I honestly don’t think it’s worth the extra price compared to the Innova 3150.